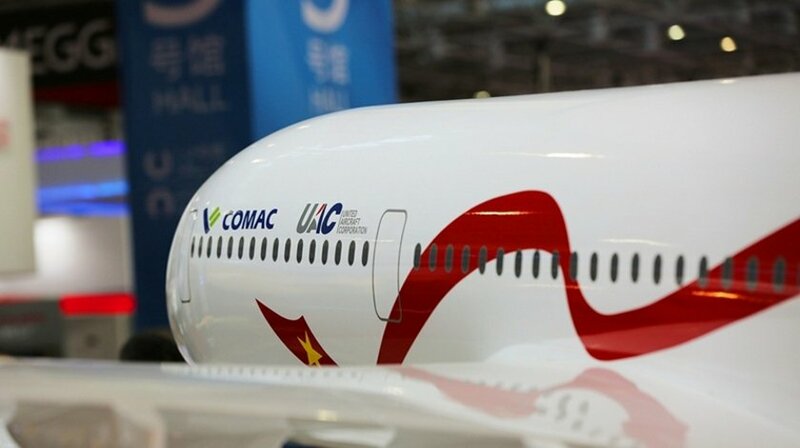 On 6 June United Aircraft Corporation (PJSC UAC) and Commercial Aircraft Corporation of China (COMAC) approved the general layout of CR929 long-range wide-body aircraft. The parties agreed as to the aircraft principal geometry – wing span and shape, fuselage length, fuselage nose and tail section dimensions, aircraft fins sizing and form, location of engines, landing gear and doors. Efforts were taken by JET-team, the joint Sino-Russian engineering team headed by CR929 chief designers Maxim Litvinov (representing the Russian side) and Chen Yingchun (representing the Chinese side). Chief Designer Chen Yingchun (representing the Chinese side) congratulated the team of Russian and Chinese engineers and noted the importance of CR929 general layout approval for further work to be carried out under the program. The CR929 Program is currently at Gate 3 phase. Apart from aircraft general layout approval, this stage also includes experimental research work in the sphere of aerodynamics, selection of structural materials and analysis of technical commercial proposals submitted by potential suppliers of the key systems and equipment. These works and Gate 3 phase are expected to be completed by mid-2019.